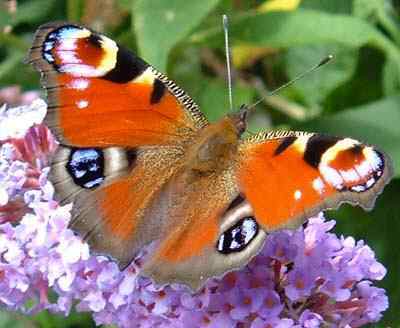 Insects on the Island of Anglesey - Ynys Mon. I do not profess to be an expert in the wonders of nature, nor do I claim to know more than most folk about the creatures and plants we share this world with that are constantly around us. Nature is the domain of someone far greater than anyone of us, and I just appreciate the wonder of life. Whether the animals, insects and plants that I photograph are wild or not, on foot (or on a thousand feet) or wing, or on stem, I merely wish to share some of the photographs that I have taken on Anglesey. Many of you might not be so fortunate as to live in the country, and others may just like to see colourful images of nature; whichever category you fit into you are most welcome. These pages are a new idea for the website, and I suspect they may be slow to grow, but please do stop by now and again and see what efforts I have made to make these wildlife pages a pleasant and worthwhile place to visit. Some of the photos may have been taken with my trusted Fuji 4m pixels camera, and many will be taken with my 8m pixels Olympus Evolt E-500 digital slr camera, which now offers me many more options, not least of which is a decent zoom lens that allows me to take photographs I could otherwise not. This page is incomplete and will be added to as time permits.